The Best Hosted Payment Page - looks EXACTLY like the rest of your site! Connects to 170+ payment gateways including AuthorizeNet, PayPal, and Stripe. No other payment modules needed. Simplicity: The easiest way to make your site PCI compliant. Savings: No need to buy other payment gateway add-ons. 150+ gateways included for free. No SSL required. 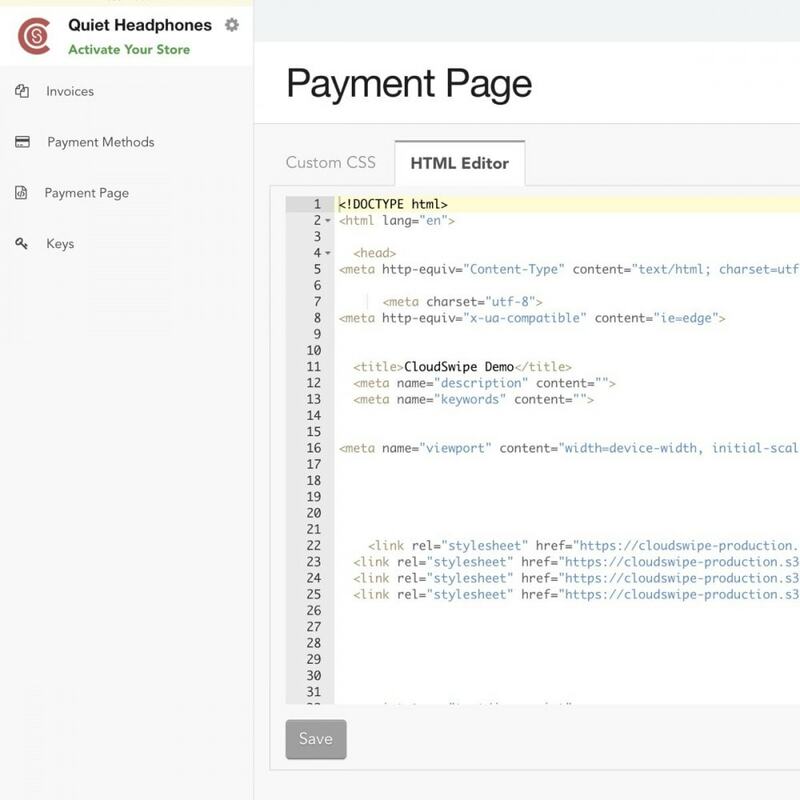 CloudSwipe skins your hosted payment page with your PrestaShop theme so it looks exactly like the rest of your website. The most customizable, easiest to use, hosted payment page ever. CloudSwipe provides a PCI compliant, secure hosted payment page that works with a wide variety of payment gateways. 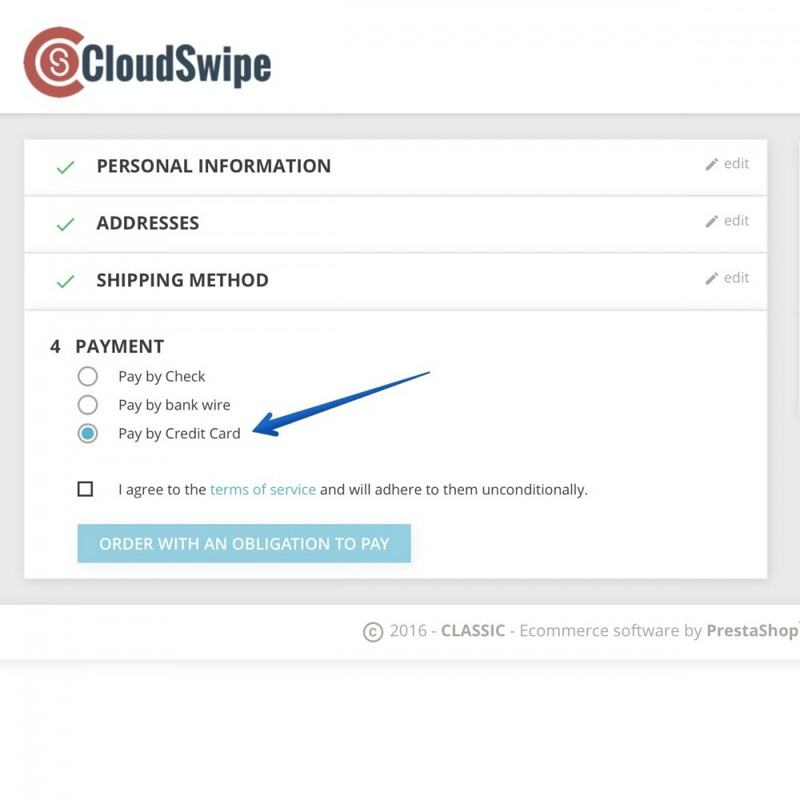 You do not need to buy a payment gateway module when using CloudSwipe. Choose from a wide variety of distraction free themes that match your site’s colors. 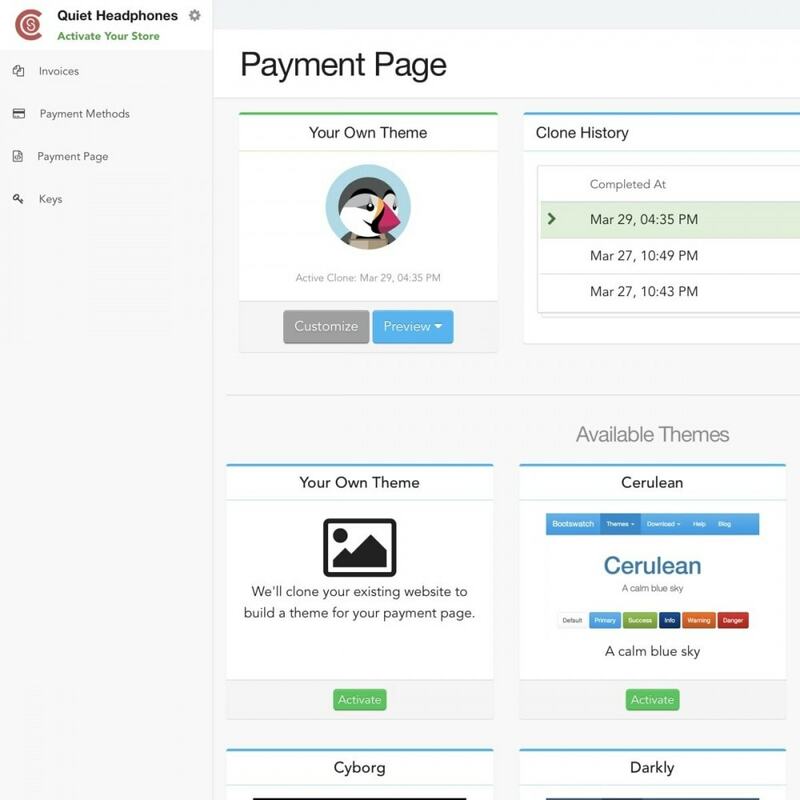 Or, theme your secure payment page with your PrestaShop theme. 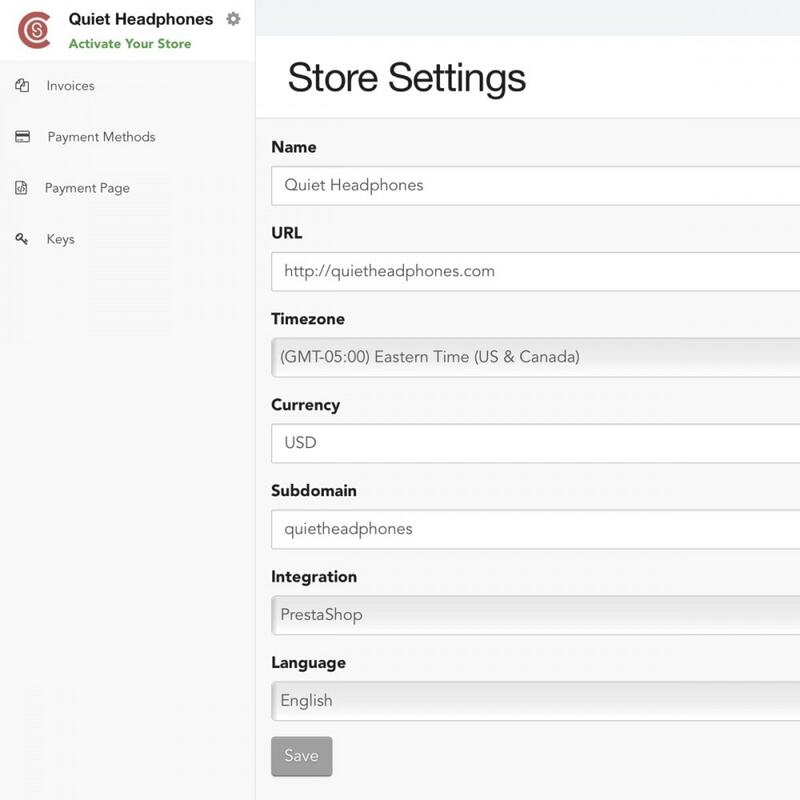 With a single click, you can use your PrestaShop theme on your secure hosted payment page. The hosted payment page is fully customizable. You have access to edit the CSS and HTML. Your customers will feel safe and confident shopping on your site knowing that you are serious about security and handling their payment information in the safest way possible. Your customers will not get confused bopping back and forth from sites like PayPal. They will see your site’s exact brand and design through the entire checkout experience because your payment page will look exactly like all the other pages of your site. 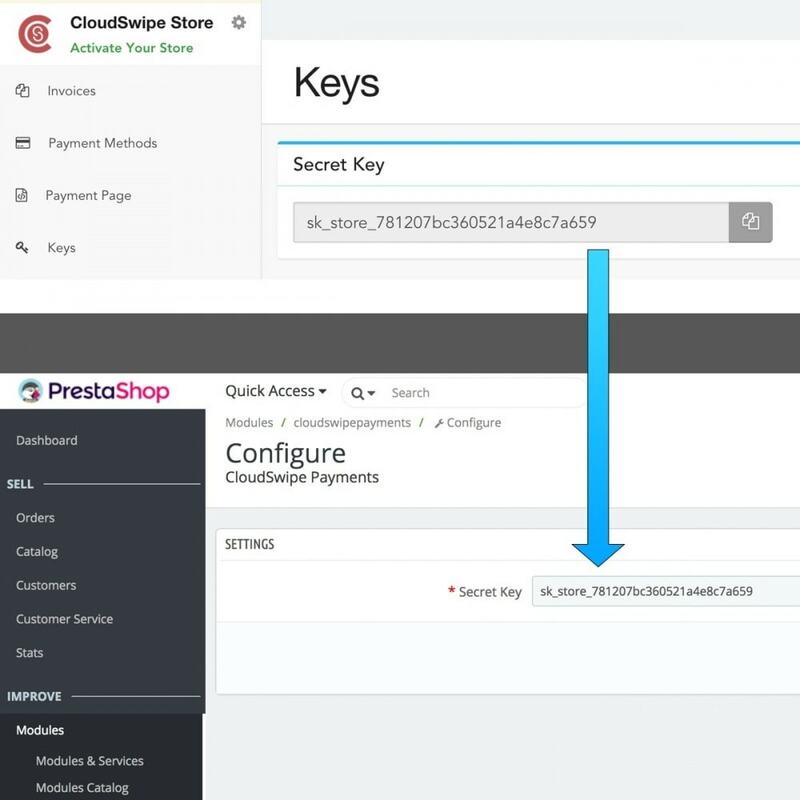 After installing the CloudSwipe module, copy and paste your CloudSwipe secret key from your CloudSwipe account into the CloudSwipe module configuration screen in your PrestaShop site. You can find the secret key in your CloudSwipe dashboard by logging in at https://dashboard.cloudswipe.com and clicking on the Keys item in the left side panel navigation. If you need any help, just let us know by contacting us through the Addons contact form. Create a private message on PrestaShop orders containing the Authorization ID, AVS/CVV Results and Card Information for CloudSwipe payments.